$13 for adults, $7 for youth - FREE for kids 7 yrs and under! 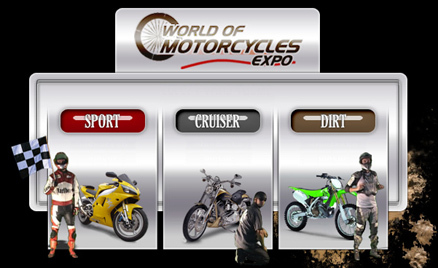 Over 60,000 square feet or motorcycles, entertainment, demonstrations and vendors! Freestyle Streetbike performances BOTH days by the Before & After Motorcycle Stunt Team! Shirts, hoodies and more will be available - come by the booth and say hi! On Saturday, after the show, it's The After Party! We have The Thorny Devil reserved EXCLUSIVELY for Chic Riders & friends from 7:30pm to 10:00pm. The party will go all night - all clubs are welcomed!